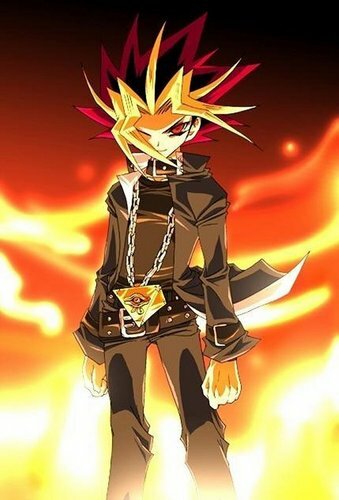 Yami Yugi. . HD Wallpaper and background images in the YamiZ club tagged: yami yugi yu-gi-oh! anime. This YamiZ photo might contain cloche and bell. i cannot express how epic this picture is... How in the world do these people know when to cut out an eye or add fire and an underlight for dramatic effect? I will draw that or something very similar very soon! wish me luck! He looks SOOOO evil. STILL HOT!!!!!! !